There are many factors to consider when determining coin values - age, condition, demand, rarity, and supply as well as external market factors. Any one of these factors can be significant in determining a coin's value by itself, however a combined consideration of all of these factors determines the final value of a coin. Each of these factors, along with how that factor can affect the value of coins is described in the sections below. Believe it or not, age alone has very little impact on the value of coins. A lot of coins from the last twenty years or so are worth more than some coins that are a couple thousand years old. Don't assume that just because a coin is old, that it is rare or valuable. Condition plays a huge role in determining coin values. The condition of a United States coin is graded on a 70-point grading scale first devised by Dr. William Sheldon in the 1940s. The higher the numerical grade assigned to a coin, the more valuable it is. For example, a coin that is uncirculated and in mint-like condition could be worth a hundred times more than the same coin that has been in circulation and shows a little wear. See more about grading coins here. Demand is another important factor in determining coin values. A higher demand increases the value of coins while a lower demand can hurt the value. 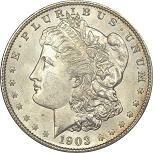 For example: Suppose you had two coins that shared identical rarity, but one was in a series that was very popular among collectors (like Morgan Silver Dollars) and the other was in a series that most collectors mostly ignore (like Jefferson Nickels). The coin from the more popular series would be more valuable. The same goes for a coin that is fairly plentiful versus a scarcer coin. If the more plentiful coin happens to be in a more popular series than the scarcer coin, it could still be more valuable just because more people want that coin in their collection. Keep in mind that the popularity of some coins seems to be trendy. A coin or series of coins that is very popular among collectors today may not be as popular a few years from now. As these trends change, so does the value of the coins. Before investing in a coin, you should check the price trends of that particular coin over the past couple of years. If the coin has shown an unusual price spike, it could indicate that that particular coin is very popular among collectors at the moment and you might find the coin at a better price if you wait a while until that coin falls out of favor before buying. If the price has remained fairly stable over that period of time it could mean that you may not ever find it at a better price. Instead of investing in some coins that could fall out of favor and lose some value as a consequence, concentrate on some coins in a less popular series while keeping a watch on the trends of the coins you are interested in. Rarity or scarcity can also have an influence on coin values. This just has to do with the number of that particular coin that have survived over time. Produced (made) by a Mint. A manufacturing facility for coins. The quantity or number of coins made of a specific date, mint mark and type. in small numbers but many more were lost or destroyed over time for different reasons. For example: When the price of gold or silver rises above the face value of coins, people have been known to melt the coins down and sell the gold or silver. When this happens, the coins that are left become more valuable. Simply put, if more people want a particular coin than the number of coins made that year, the price rises. However, if there are fewer people compared to the number of coins made, then their prices will remain low. This can be seen each year when the U.S. Mint first releases new proof sets. People who happen to be first in line to purchase these can often sell them for a nice profit because they are very popular and lots of people want them. Later the price will begin to drop as the Mint releases more and more sets. So, if you want a proof set and you miss out when they are first released, have patience and wait until the first initial rush is over and the price will usually come back down. You will probably still have to pay a bit more than the issue price, but not nearly as much as when the supply is low.